Please type your desired tags, e.g. Theoretical, Physical or Analytical, Hypoxia, Social Data Analytics and Research, Bioengineering, Latin America, Accounting, Information Systems, wind energy, Business Communication, Mental Health, Motherhood & Reproduction, Public and School Libraries, Appalachian Literature, Poetry, Nineteenth and twentieth century feminist, and etc. Press the 'enter' key or type a comma (,) after each new tag. Selected as POMS Fellow (2017). Awarded the Purdue University Outstanding Industrial Engineer Award (April 27, 2017). Elected Member of the Board of Directors of POMS (Production and Operations Management Society) (May 2014-May 2016). Awarded the Boston State College “Education for Service” Award (December 3, 2015). Selected as a 2014 Purdue University Distinguished Woman Scholar. Awarded the INFORMS WORMS Award for the Advancement of Women in OR/MS (2013). Selected as INFORMS Fellow (2009). Awarded the INFORMS Kimball Medal “for distinguished service to the Institute and to the profession of OR/MS” (2008). Awarded the INFORMS MSOM 2007 Distinguished Service Award (2007). Elected Member of the Board of Directors of POMS (Production and Operations Management Society) (April 2006 - April 2008). Appointed Member of the President’s Advisory Board of the Tepper School of Business, Carnegie Mellon University, since March 2004; Advisory Board Meeting, October17-18, 2005. Outstanding Graduate Teaching Award, School of Management, University of Texas at Dallas (2004). INFORMS has noted the following paper as “one of the 50 most influential papers from the journal Management Science over the last half century” in 2004: “Formulation and Solution of Nonlinear Integer Production Planning Problems for Flexible Manufacturing Systems”, Management Science, Vol. 29, No. 3, pp. 273-288 (March 1983). Elected Vice President, Sections and Societies of INFORMS (January 2003-December 2004). Elected Member of the Board of INFORMS (Institute of Operations Research and Management Sciences) (January 1999-December 2001). Honorary Lifetime Member of the Global Institute of Flexible Systems Management, since October 2000. Invited Member of the Board of MHT (Management of Health Sciences and Technology) since March 1999. Honored Member, Strathmore’s Who’s Who Registry, 1999 – 2000.
,International Who’s Who of Professional and Business Women, 6th, 7th, and 8th Editions, (1999, 2000, and 2001). International Professional and Business Women’s Hall of Fame, 6th and 7th Editions, (1999 and 2000). Editorial Board, International Journal of Supply and Operations Management, since April 2018. Editorial Board, Journal of Analytics, since February 2018. Editorial Board, International Journal of Production Research, since August 2016. Editorial Board, Decision Making in Manufacturing and Services, since May 2015. Editorial Board, International Journal of Engineering Analysis, Simulation and Additive Manufacturing, since December 2017. Editorial Board, Research in Logistics & Production, since December 2011. Editorial Review Board, Production and Operations Management, since April 2010. Editorial Board, International Journal of Rapid Manufacturing, since March 2009. Editorial Board, International Journal of Operations Research and Information Systems, since November 2008. Associate Editor, International Journal of Strategic Decision Sciences, since May 2008. Editorial Board, International Transactions in Operational Research, since April 2008. Editorial Board, International Journal of Computer Aided Engineering and Technology, since March 2008. Editorial Board, International Journal of Collaborative Enterprise, since June 2007. Editorial Board, International Journal of Manufacturing Research, since February 2007. Editor-in-Chief, Operations Management Education Review, since October 2002. Editor-in-Chief, International Journal of Flexible Manufacturing Systems, since August 1986. Associate Editor, Production and Operations Management, since July 2003. Editorial Board, Global Journal of Flexible Systems Management, since October 2000. Editorial Board, Annals of Operations Research, since November 2001. Consulting Board, Cognitive Processing, the International Quarterly of Cognitive Science, since December 1999. Associate Editor, Decision Sciences (August 2002-January 2005). Senior Editor, Manufacturing and Service Operations Management (1995-2003). Editorial Board, Journal of Manufacturing Systems (1988-2002). Editorial Board, Annals of Operations Research, Volumes on “Mathematics of Industrial Systems”, since March 1993. Editorial and Review Board, Technology and Operations Review, since April 1994.
International Advisory Board, International Journal of Operations and Quantitative Management, since September 1994. Editorial Advisory Board, Group Technology/Cellular Manufacturing: A State-of-the- Art Synthesis of Research and Practice, since August 1996. Editorial Review Board, Journal of Operations Management, since December 1990. Special Departmental Editor, Management Science, for a focused issue on flexible manufacturing, Vol. 34, No. 10, October, 1988. Area Editor, Journal of Production and Operations Management, since September, 1989. Series Editor, CIMware Limited, since March 1990. Associate Editor, INFORS, since June 1, 1987. Associate Editor, Large Scale Systems, since July 1, 1988. Associate Editor, Automated Manufacturing Systems issues of the Annals of Operations Research, 1990. Associate Editor, Manufacturing Issues of Large Scale Systems, 1987, (since 1985). Editor (with Rajan Suri), Annals of Operations Research, Vol. 3, 1985; also Vol. 15, 1988. Area Coordinator, Operations Management, June 2004 - June 2006. Member, CQ – Committee on Qualifications of Academic Personnel, September 2007 to present. Member, Committee on Faculty Mentoring, April 2004 – present; Vice Chair (September 2008 – August 2009). Member, Committee for the Support of Diversity and Equity, September 2009-present. Member, Core Committee for the Support of Women and Minorities, for 2005-2006. Member, Strategic Planning, September 2007 – present. Member, Personnel Review, September 2008 – present. Member, Faculty Washington Advisory Group Response Committee, June 2004 – August 2006. Member, School of Social Sciences Program Review Committee, March 2004 – August 2005. Member, Committee on Educational Policy, September 2003 – August 2006. Member, School Peer Review Committee, September 2002 – August 2008. Member, Academic Policy & Planning, September 2002 – August 2006; September 2008 – September 2018. Member, Organizations, Strategy & International Management Search Committee, September 2003 – August 2004. Member, Steering Committee, September 2002 – August 2006. Member, Information Resources Policy & Planning Advisory Committee, September 2002 – January 2003. Member, Operations Management Search Committee, September 2002 to present. Member, several ad hoc committees for tenure and/or promotion, since September 2003. Chair and elected member, Strategic Planning Committee, 2000-2002. Member, Community Values and Standards Committee, 2001-2002. Member, Admissions, Academic Services, and Career Development Advisory Committee, 1999-2001. Member, Research and Publications Committee, 1993-1999. Member, Doctoral Studies Committee, 1992-1995. Chair, OM Faculty Search Committee, 1992-1996 and 1997-2002. Ran the OM Seminar Series, 1984-1995. Ran the OM Brown Bag Seminar Series, 1992-1995. OM area Ph.D. Faculty Advisor, 1992-1995. Chair, OM Ph.D. Applicant Admissions Committee, 1992-1995. Member, OM Ph.D. Applicant Admissions Committee, 1995-1996. A society for operations management professionals has conferred top honors on Kathryn E. Stecke, lauding the School of Management professor for a long list of contributions to the field. Stecke was chosen to be a fellow of the Institute for Operations Research and the Management Sciences (INFORMS), one of only 11 chosen this year out of the society’s 10,000 members. 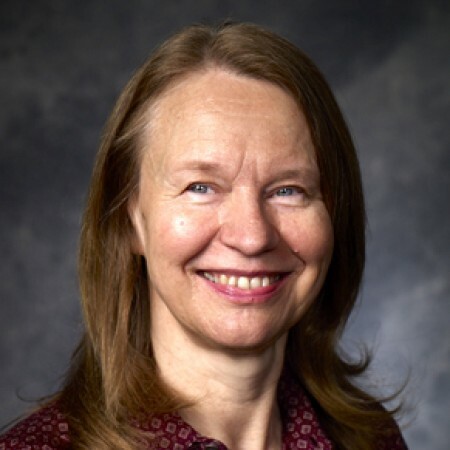 Dr. Stecke was cited for contributions to research on flexible manufacturing and supply chains, and for creating opportunities for others in her field to disseminate their research in conferences and journals. Dr. Kathryn E. Stecke, Ashbel Smith Professor of Operations Management at the UT Dallas School of Management, has been chosen to receive the Kimball Medal from the Institute for Operations Research and the Management Sciences (INFORMS). INFORMS awards the Kimball Medal each year to recognize distinguished service to both the organization and the profession of operations research and the management sciences. Long an active member of , Stecke has chaired national and international meetings for the organization. She served two terms on the INFORMS Board of Directors, first from 1999 to 2001 and again from 2003 to 2005 when she was vice president of INFORMS’ sections and societies. 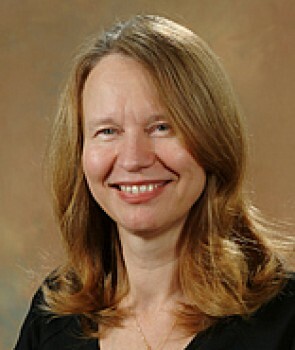 INFORMS has also recognized her research, naming her paper, “Formulation and Solution of Nonlinear Integer Production Planning Problems for Flexible Manufacturing Systems,” as “one of the 50 most influential papers” published in the society’s journal Management Science during the last half century. High costs of production and labor, combined with high rates of technological change, often cause manufacturers in developed countries to take their production offshore to lower-cost sources. Dr. Kathryn Stecke, Ashbel Smith Professor of operations management, recently studied a production system called seru that is used by the electronics industry that creates an exception to this trend. Naveen Jindal School of Management professor Kathryn Stecke has been recognized as a scholar who has contributed significantly to the advancement of women in the field of operations research and the management sciences (OR/MS). 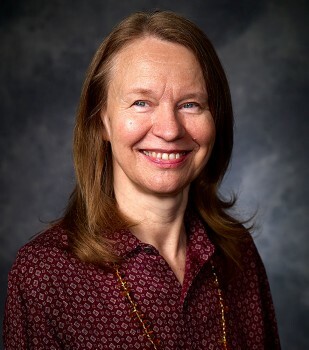 Dr. Stecke, Ashbel Smith Professor of Operations Management at the Jindal School, received the 2013 Women in Operations Research and Management Sciences (WORMS) Award for the Advancement of Women in OR/MS from the Institute for Operations Research and the Management Sciences, (INFORMS). The WORMS Award recognizes a professor each year who has helped promote the professional development and recognition of women in the OR/MS field within their own institutions and professional organizations.